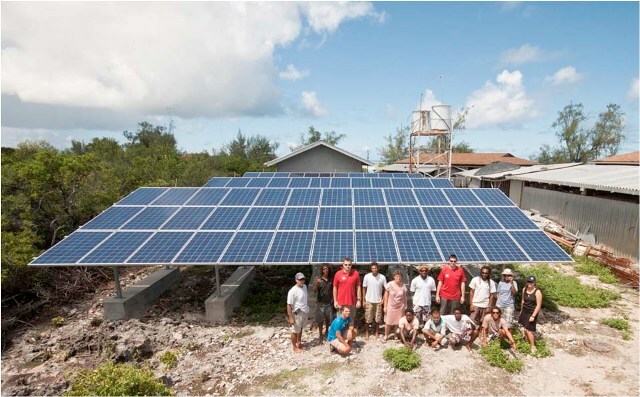 The Aldabra Atoll Ramsar and World Heritage Site is now home to Seychelles’ largest off-grid renewable energy system. 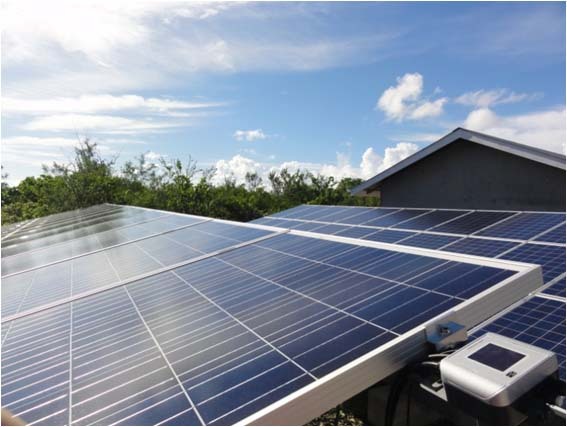 Matthew Harper, Outreach and Awareness Coordinator Seychelles Islands Foundation reports that for the last two months the atoll’s electricity needs have been almost 100% solar energy supplied thanks to the completion of a project to put Aldabra’s electricity needs on a sustainable basis. This milestone in providing sustainable energy for an entire island community is the result of a four year, €500,000 project undertaken by Seychelles Islands Foundation (SIF). The project started in 2008 with an energy audit supported by the Indian Ocean Commission. Initial action involved replacing worn out inefficient equipment with energy efficient versions, and improving management operations on the atoll to minimize the use of energy expensive practices and equipment, such as air conditioning. Using traditional diesel generators had forced SIF to ship fuel to Aldabra in barrels which were delivered to the beach and rolled to the storage area, creating a risk of diesel leakage onto the atoll as well as very high transport costs. The new system is a solar-diesel hybrid complemented by an improved efficiency diesel generator, which will require far less fuel and will only be used when the solar supplied batteries are discharged by uninterrupted cloudy weather for several days. This system, commissioned in April 2012, fully supports the research station (including air-conditioning of six offices, a scientific laboratory, and freezing facilities in the island’s shop) and the 12 staff houses. The new system includes a web-based monitoring programme. System performance and electricity consumption are continuously recorded (new system includes a web-based monitoring programme) and are displayed on a homepage allowing close system monitoring and better maintenance and troubleshooting assistance. The success of this project demonstrates that the switch to sustainable energy can be achieved even on the most remote and inaccessible of islands.